This blog post still gets quite a bit of traffic, but is now over six months old. Updates to the Misfit App have changed how some of the things listed below now work. Full details are in the Updated list at the end of this post. 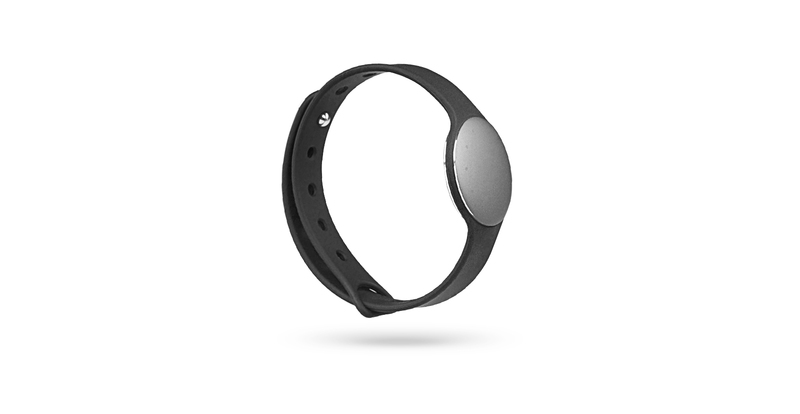 The Misfit Shine is a good physical activity tracker, accurately keeping tabs on my walking and running with no problems. It’s also a good sleep tracker, that’s mostly easy to use, nice to look at and simple to understand. The accompanying iPhone app is well made, has a minimalist UI and a pleasingly unique syncing process. The device’s touch controls are a little hit and miss, sometimes not registering taps and sometimes registering inaccurately. But overall I’m happy with it and think it makes a very good version one device and accompanying app that provides a great platform for Misfit Wearables to build upon. For some time now I’ve been using various bits of technology to help track, monitor and record my efforts at getting fitter and healthier. Every morning I stand on a Withings WIFI scale that measures and wirelessly records my weight and body fat percentage. Four mornings a week I strap a Wahoo heart-rate monitor to my chest, open up the Runkeeper app on my iPhone, plug in some earphones and run (read: jog & splutter) my way around a 5km circuit of Regents Park. Four evenings a week I use another iOS app Gym Hero to record workouts that involve push-ups, sit-ups and kettle-bell exercises of various kinds. Every day I use an old school spreadsheet to keep record of everything that I eat and drink. All this data logging and monitoring has really helped me improve my fitness. I’m now about 10kgs lighter than I was at the beginning of the year. My body fat percentage is down and my 5km run has, when I’m on form, been known to take under 25 minutes. A significant improvement over the >30 minute times I was running in January. For a while I’ve been flirting with the idea of adding to my data tracking abilities by investing in some form of activity tracker. Maybe a Fitbit device, the Jawbone Up or a Nike FuelBand. At times I’ve come close to buying all of those. But something always made me hold off. One of the things that put me off some of the other devices was their physical design. The wrist band devices like the Nike Fuelband are fairly chunky. As someone who doesn’t wear a watch to work anymore because it gets in the way of typing comfortably, I’m not looking to strap something to my wrist that is too big. The ability to wear the Shine either on your wrist using the supplied rubber sports band (see Figure 2) or, thanks to the also supplied magnetic clasp (see Figure 3), attached to your clothing was appealing. If you ask people what they need to do to get fitter most will say “exercise more”. Many will mention eating more healthily. Few will say “get more sleep”. But all three elements are important. Moving more and eating less (or just better) are key. But to really get the benefits from doing both of those things you need to make sure you get enough sleep too. I have been moving more and eating better, but I had no way of knowing about my sleep other than recording when I go to bed and get up. When I saw that the Shine could track my sleep and its quality it ticked a box for me. 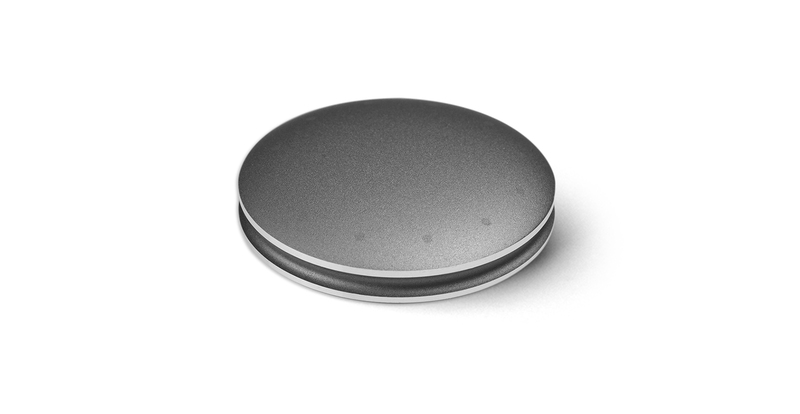 The Shine uses a watch battery that Misfit claim will last up to four months at a time. One of the biggest problems I had with the other devices on the market was their need to be charged up. For me the purpose of an activity / sleep tracking device is to be always on and always tracking. Having to take it off and leave it somewhere plugged in to charge seems counterintuitive. I remember to charge my iPhone every day because I plug it in when I go to bed at night. I rarely remember to charge any of my other devices. My iPad and Kindle are regularly dead when I come to want to use them. The other phones and tablets that I have for testing are almost always dead and need to be plugged in and charged over night before a day of testing can begin. When would I charge a device that is meant to be worn all day and all night? I don’t want to miss logging something because the device is plugged in at home charging. After one week of using the Shine I’m impressed. It does what it says on the tin: you wear it, it tracks your movement and sleep and reports back on both once synced with the iPhone app. I’m not blown away by it, but then it’s only really a very well dressed motion sensor that talks to your phone. Not that long ago saying I owned a motion sensor that talked to my phone would have been amazing. How fast we except technology’s rapid advancement. Its physical design is very well thought through. It feels and appears well made. Robust enough to stand up to the knocks and bumps that life strapped to someone’s wrist will throw at it. Its finish seems (so far) scratch resistant and subtle enough to not draw too much attention to itself. Its small size really helps in both cases. I’ve worn it on my wrist all week using the supplied rubber sports band, and at no point have I felt in danger of it falling off or coming loose. I’ve not used the magnetic clasp in anger, so can’t comment on how secure it feels wearing that way. Functionally it works well. Accurately tracking my morning runs, my commute to and from work and any other instances when I move about. Being able to track my running and my commute is not all that exciting (I already knew I moved at those times). I think being able to track the exact timings of those events historically may be mildly interesting once there is more data to compare. However, being able to track times of inactivity could be the Shine’s killer application for me. Just one week’s worth of data really drives home how little I move while at work. The iPhone app shows daily movement as a graph with peaks at times of activity. The troughs are revealing. Sleep tracking also works pretty well. Tapping the device three times tells it (once set up to do so via the iPhone app) when you’re going to sleep. It then tracks how much you move through the night to workout how much deep sleep you managed to get (less movement = deeper sleep). When you get up in the morning it works out how long you slept in total. If you’re one for waking up, but not getting up straight away in the morning I’m not sure how accurate this feature would be for you. It needs you to physically get up in the morning to stop tracking you as asleep. Once you’ve set your daily point target and synced the Shine with your phone, you can double tap the Shine at any time during the day and it will light up to show you your progress so far. It will also show you the time. If you already wear a watch the time telling feature is a pretty pointless gimmick that can be turned off via the app. If you don’t wear a watch it’s still a bit gimmicky, but serves a purpose on occasion. My favourite bit of using the Shine is syncing it with the iPhone app (see the embedded video). To do this you need to open the app, hit sync and place the Shine on your iPhone screen in the position highlighted on screen. It’s a clever bit of design. Not the most seamless way of transferring data, but a very hands on, visually pleasing method of making you physically connect with the process. The on screen animation and accompanying light display on the Shine itself provide a smile inducing experience. Total theatre to distract from the fact that the Shine’s bluetooth radio is too weak to transmit through its metal casing and sync with your phone from a more practical distance, but a beautiful solution to the problem. If you’re not as easily pleased as I am, having to remove the Shine and place it on screen to sync may grow tiresome. So far the only complaint I have with the over all experience is that the tap control of the Shine is not always accurate. Double tap to view progress and the time. Triple tap to activate sleep tracking. Sometimes I’ve found myself double tapping three or four times before managing to get a response. On occasion I’ve managed to trigger a triple tap response when I meant to tap twice and vice versa. Overall I’m happy with my decision to finally cave in and buy a dedicated tracking device. I can’t compare it with any of the others on the market, but it works for me. 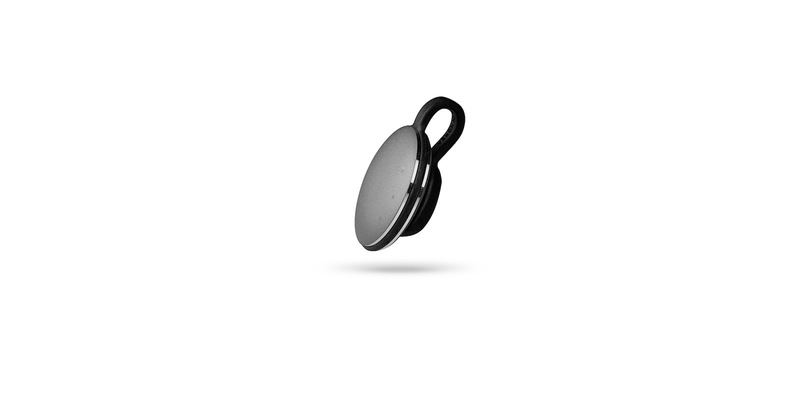 Misfit say they’re working on another “highly wearable” device to be released next year. Based on their approach to the Shine, I’m interested to see what they come up with next. The sleep tracking is now automatic. You no longer need to trigger it at night. It just logs when it thinks you’re asleep and when it thinks you’ve woken up. You can still set it up (via the App) to manually track sleep if you prefer. The syncing function has been updated so you no longer need to place the Shine on your iPhone screen to sync with the Misfit App. Which is a shame, because that really was a nice way of syncing the device. Syncing is now automatic, but can still be triggered in the App (with the animation) if you want to.